Had to go to Paris – HAD to – for work last week so decided to tack on a weekend there with some girlfriends. We tried really hard to do at least one cultural thing but when we arrived at the Musee D’Orsay the queue was as long as the one at the Turkish border so we decided to go and get a drink instead. 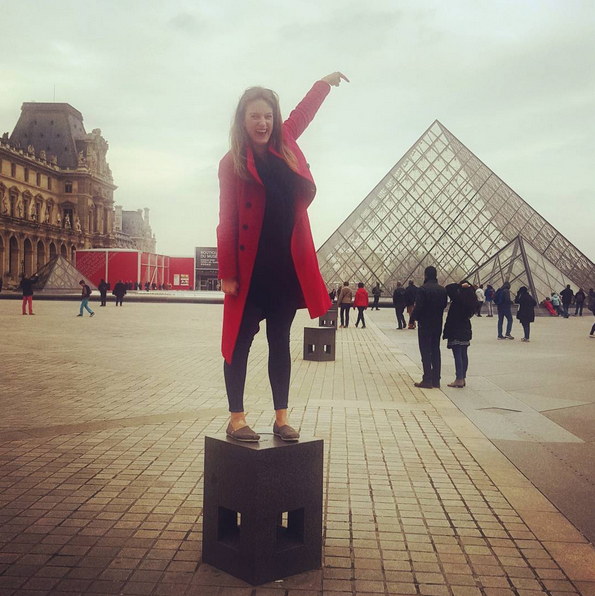 Then I thought it would be amusing to copy the 17183 tourists outside the Louvre doing that hilarious entirely unhilarious thing where you take a photo of someone ‘holding up’ or ‘leaning’ on that glass pyramid. Such larks. Except everyone on Instagram then seemed to think I was doing it deliberately. Mon dieu. Below is a picture of our breakfast in the sunshine yesterday. 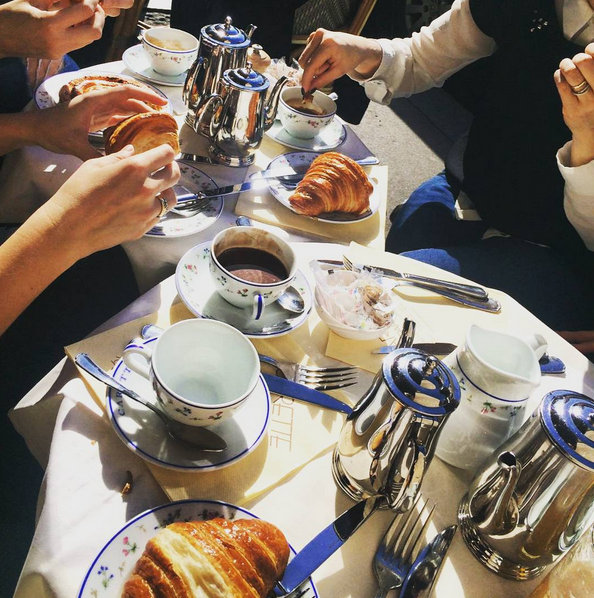 Which makes us look fairly demure – just a couple of croissant and some chocolat chaud. Actually, for two mornings in a row, I ordered coffee and chocolate chaud and jus d’orange and a croissant and a Croque Madame. The French waiters all looked at me as if I was a greedy rosbif, which is fair enough really.